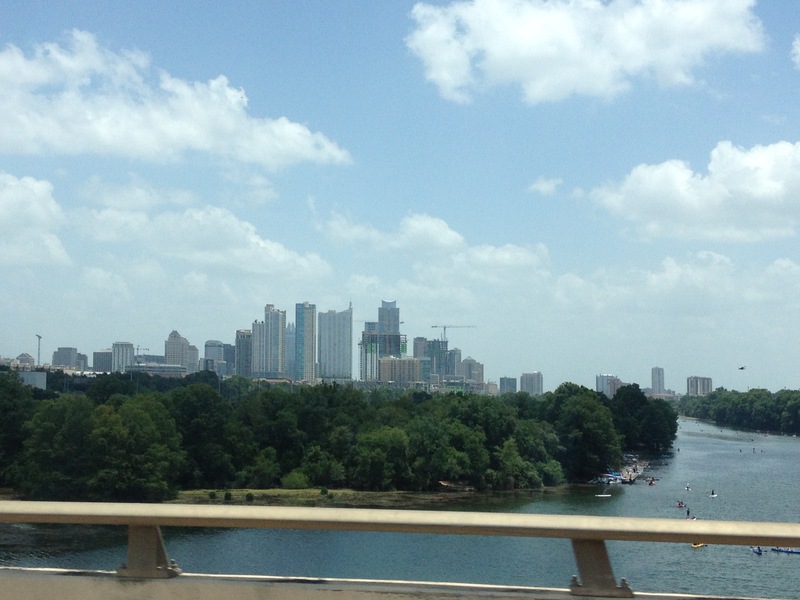 It is with some amount of hesitation that I visited Austin, Texas. Compared to other cities in the same region, of similar size, and with similar recent economic fortune, it gets talked about a lot in certain circles. I am quite cautious about simply parroting what is said and done by others. I am not a complete hipster. I do take part in some things that are very popular. But, I just want to make sure that whatever I choose to do, particularly with my own time, I do for my own reasons. It is for that reason I never read the Harry Potter books, or watched certain mega-popular television shows. Additionally, I know a lot of people who care way more deeply about certain hot-button social issues than I do. So, when I hear people talk about Austin instead of San Antonio, Houston, or Dallas, cities in Texas that are also rapidly growing, I can’t help but feel a bit skeptical. I want to visit a place because it is interesting, not because it has people with certain viewpoints on things that others think is important. 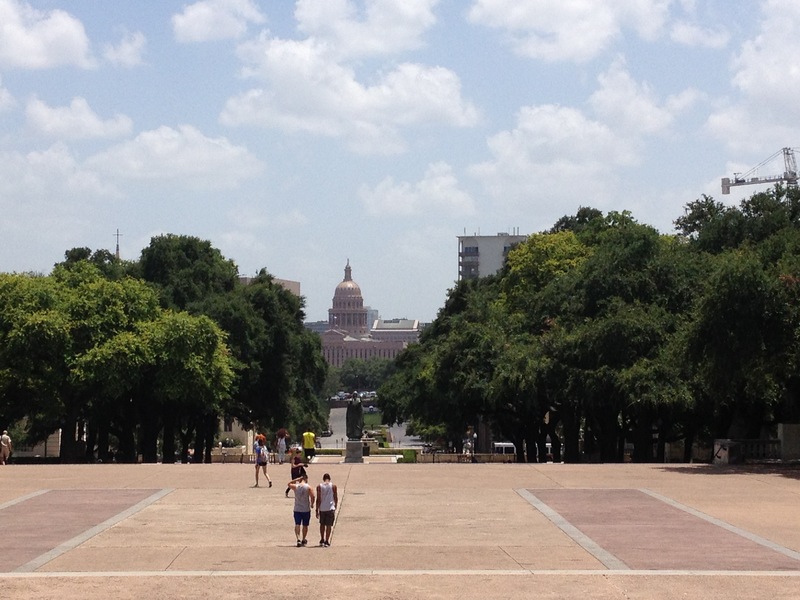 What I saw in Austin, Texas, though was that the place is interesting on its own merits. 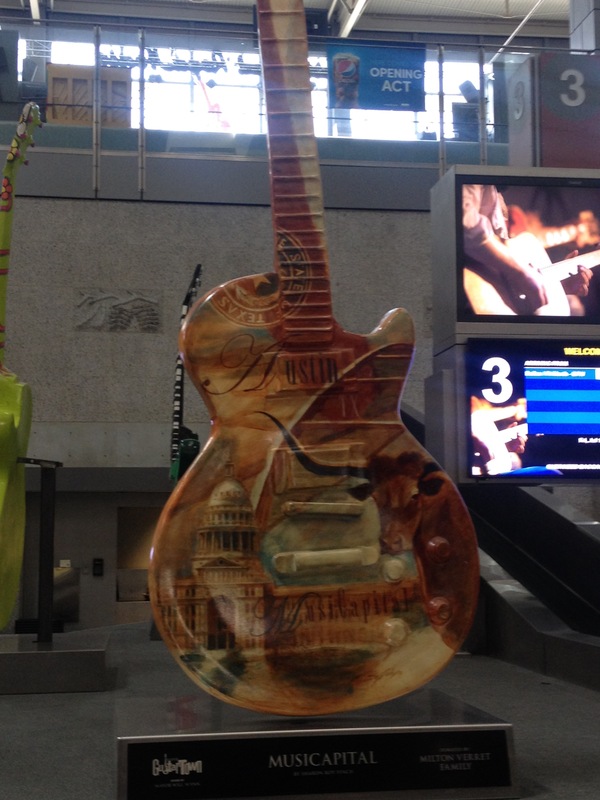 As soon as I landed at the airport, I saw sculptures of guitars displaying Austin’s pivotal live music scene. The river that runs through the center of town, oddly enough also called the Colorado River (I am accustomed to thinking of the Colorado river as running from Rocky Mountain National Park, through the Grand Canyon and down to Mexico), is a center for all kinds of interesting outdoor activity. 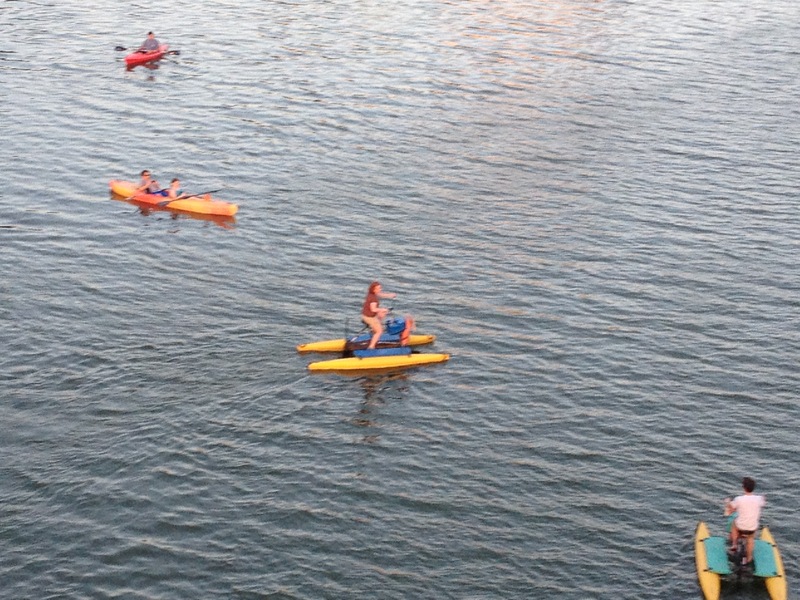 Numerous kayaks, stand up paddleboards, and these water bicycle things that I haven’t before seen, could be found on the river at any time of day I rolled past it. 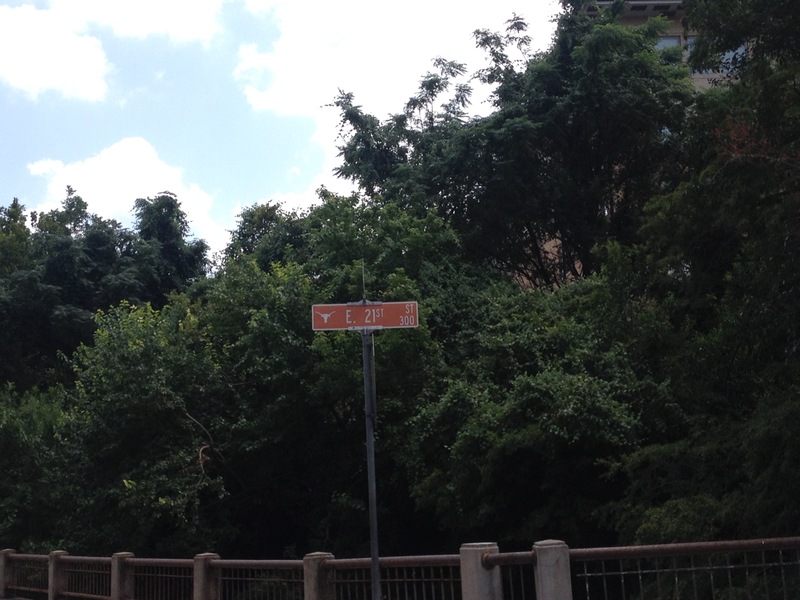 Additionally, it is on the Congress Ave. Bridge over this river that one of the largest bat colonies live. Every evening, sometime around dusk, the colony of bats swarms outside for some reason. People line up on this bridge before sundown to watch every day! The nightlife there is also quite amazing. There are several areas of town that have bars, restaurants, and plenty of youthful, vibrant activity. It felt like everywhere I went, even at times like 10 in the morning, I would hear some kind of live music coming from some direction. There is certainly no shortage of things to do for fun people. My evening in Austin ended at one of the best dancing bars I have ever been to, a place called Barbarella, which was recommended to me by a co-worker. It is the kind of bar I wish I had in my hometown, a place where a lot of people are dancing, but without the high prices and pretention of some of the clubs one will find in major cities. This bar had a large dance floor, which was periodically infused with fog from a fog machine, some interesting lighting, and affordable drinks. And, on the night that I was there, they were playing nothing but 80s music. It was the kind of crowd where a lot of people were just letting loose and seeing where the night takes them. With the number of college students and recent grads in the area, I could not help but fixate on the high likelihood that at least one person there on the dance floor was “hooking up” with someone to the exact same (80s) song that their own parents first “hooked up” to without even knowing it! All over town were reminders of youth, and all things youthful. Of course, there is the campus. Last weekend, while I was there, a new student visit weekend was taking place. So, the streets were filled with people, young and energetic, excited about the new chapter of their lives they were preparing to start. Remembering it, there is nothing like this first time you go out on your own, something every 17 or 18 year old wearing those maroon t-shirts were preparing for in less than two months. 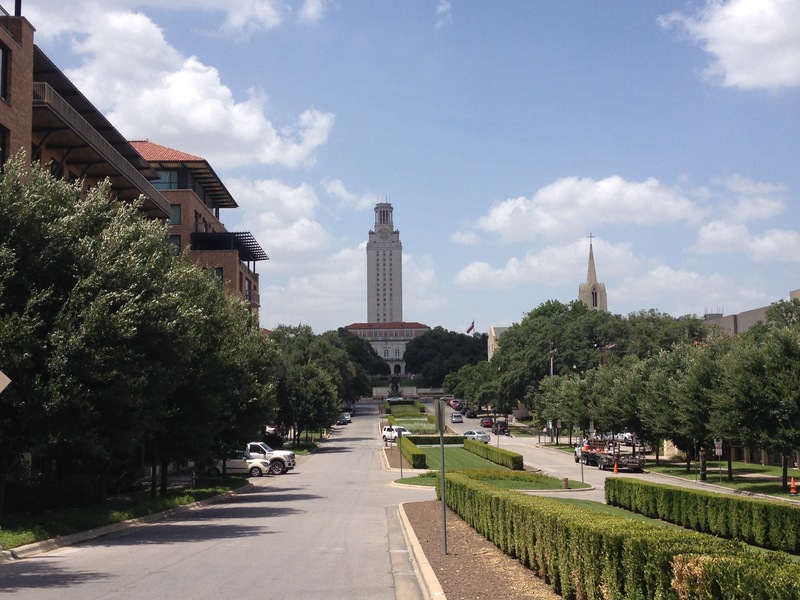 I could feel the excitement as people explored, formed new bonds, took pictures displaying the Longhorn signal, and just looked forward to what is to come. Also, while at one of the live music clubs, I accidentally (as in I did not plan this) wandered into a room where one of the scenes in the movie Boyhood had taken place. The movie, released last year, follows the life of a boy growing up from age 6 to age 18, when he goes off to college. I particularly related to the main character in this movie, as he grew up and developed his own set of thoughts and values. In one scene he goes on a rant about how people use facebook that seriously could have matched word for word something I had said a few years earlier! All this served as a reminder of how magical that part of life really is. The hope, the promise, and the excitement of making yourself into what you are to become is one that really cannot be matched. Oddly enough, in Austin, I may have found a place that shares my values, including the very values that made me hesitant to visit the place in the first place. This poster particularly resonated with me. I just wish I could have gotten a better picture of it. It’s hard to get a picture of a lit up sign like this in Texas, in the sun, in the middle of the day. The phrase “Stop Being Livestock” is definitely a play on the University’s team name; The Longhorns. 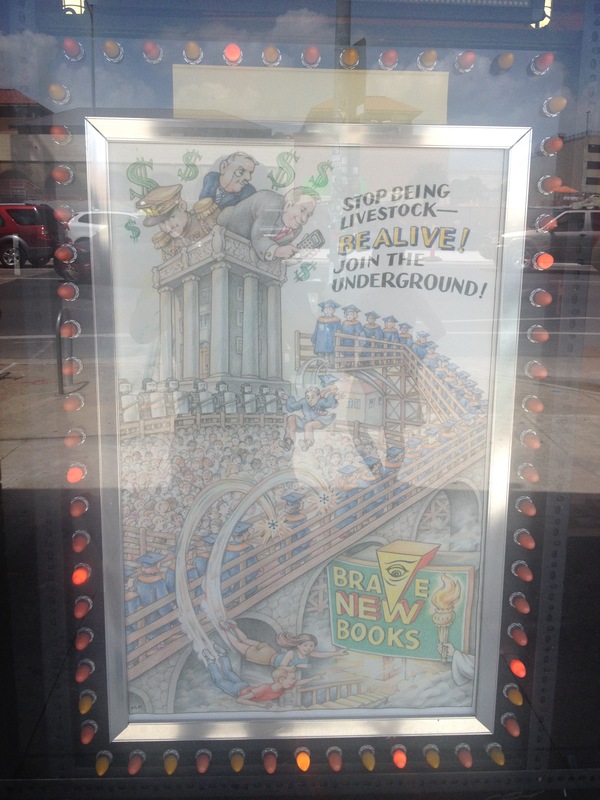 But it definitely also depicted how I, and many of us, feel sometimes in the working world. I mean, every large organization has a department called “Human Resources”. Just thinking about that phrase gives me goose bumps sometimes. That person, sitting in the cubical farm, is a “resource”. Maximizing that resources’ output sounds a lot like fattening up a cow, or getting as many eggs from a chicken as possible. Around town I heard plenty of intellectual discussions like this one. 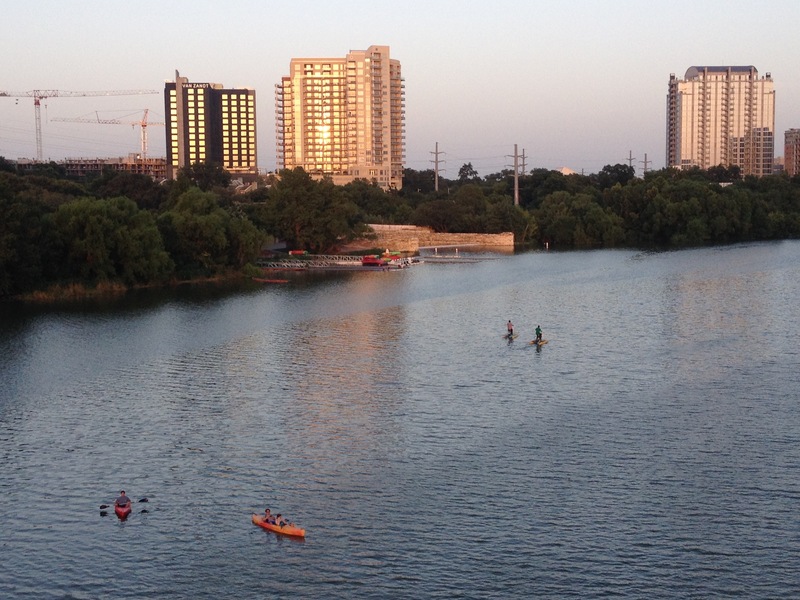 Some locals described Austin as having an uber-sized commitment to individuality. It appeared as if this commitment was genuine, based on everything I had seen around town. 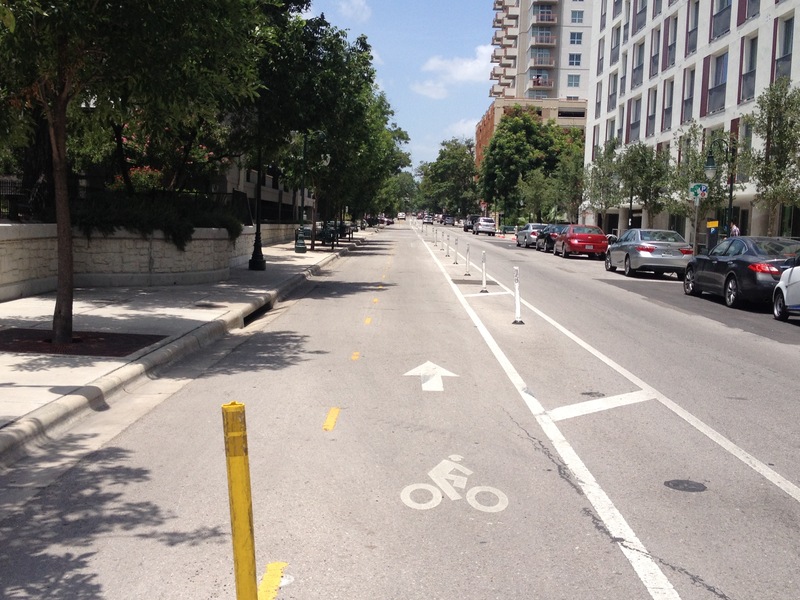 From the intellectual nature of discussions, to the outdoor activities people engage in, as well as all of the bike lanes I saw all over town, it felt like a place that shared my values. I would definitely be more likely to find people that understand me here than in many other places. It is just ironic that these were the values that made me more hesitant to come to Austin in the first place. 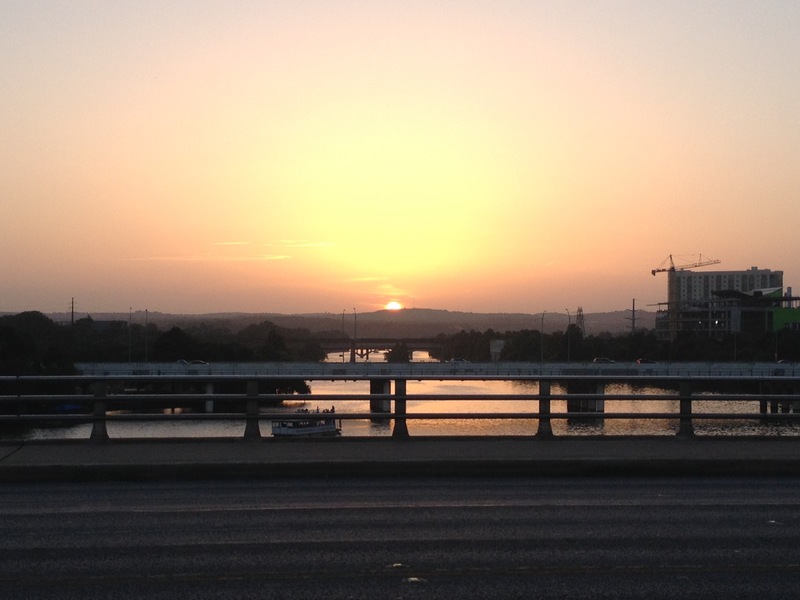 This entry was posted in cities, lifestyles, local culture, nightlife, Texas and tagged Austin, local culture, nightlife, State Capitals, Texas on July 16, 2015 by Stephen Jaye.